Javon Steven Foster Wanted in Metrobus Shooting of Selina Brown | Homicide Watch D.C. | Mark every death. Remember every victim. Follow every case. The 20-year-old woman shot to death aboard a Metrobus on Minnesota Avenue Southeast last night has been identified as Selina Brown, of Northeast D.C., according to MPD. Javon Steven Foster is wanted for Second-Degree Murder in the shooting death of Selina Brown. Police are searching for Javon Steven Foster, 27, who is wanted for second-degree murder in Brown’s death. MPD described Foster as a 27-year-old black man, five-foot-eight, 160 pounds, with black hair and brown eyes. He is considered armed and dangerous, MPD said, urging anyone who sees Foster to call police immediately. Brown’s daughter, a toddler, was also injured in the shooting and was taken to Children’s National Medical Center and is expected to recover, according to the Washington Times. 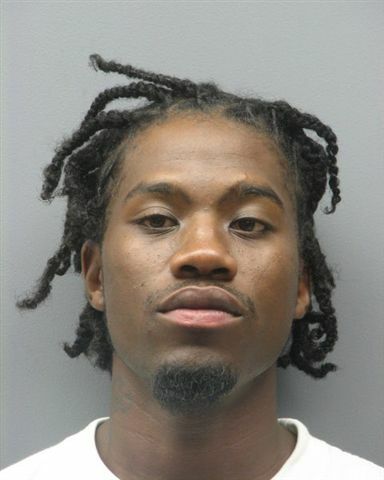 (Washington, DC)-Detectives from the Metropolitan Police Department’s Homicide Branch are seeking the public’s assistance in locating a suspect wanted in connection with a fatal shooting which occurred in the 1700 block of Minnesota Avenue, SE. On Sunday, December 9, 2012, at approximately 5:40 pm, members of the Metropolitan Police Department’s Sixth District responded to the 1700 Block of Minnesota Avenue, Southeast, to investigate the sound of gunshots. Upon arrival, they located an adult female victim in an unconscious and unresponsive state in the doorway of a Washington Metropolitan Area Transit Authority bus (METRO), suffering from multiple gunshot wounds. DC Fire and Emergency Medical Services personnel arrived and determined that the victim had no signs consistent with life. The victim remained on the scene and was later transported to the Office of the Chief Medical Examiner for the District of Columbia, pending an autopsy. A second victim, a female toddler, suffering from a gunshot wound was transported to a local hospital in stable condition. The operator of the bus sustained a non-life threatening injury. The decedent is identified as 20-year-old Selina Brown of Northeast, Washington, DC. The Metropolitan Police Department is seeking the public’s assistance in locating Javon Steven Foster, who is wanted for Murder II While Armed in the shooting death of Salina Brown. Javon Foster is described as a 27-year-old black, 5’ 8” in height, 160 pounds, with black hair and brown eyes. Javon Foster should be considered armed and dangerous. Anyone who sees this suspect should not take action, but call police immediately.